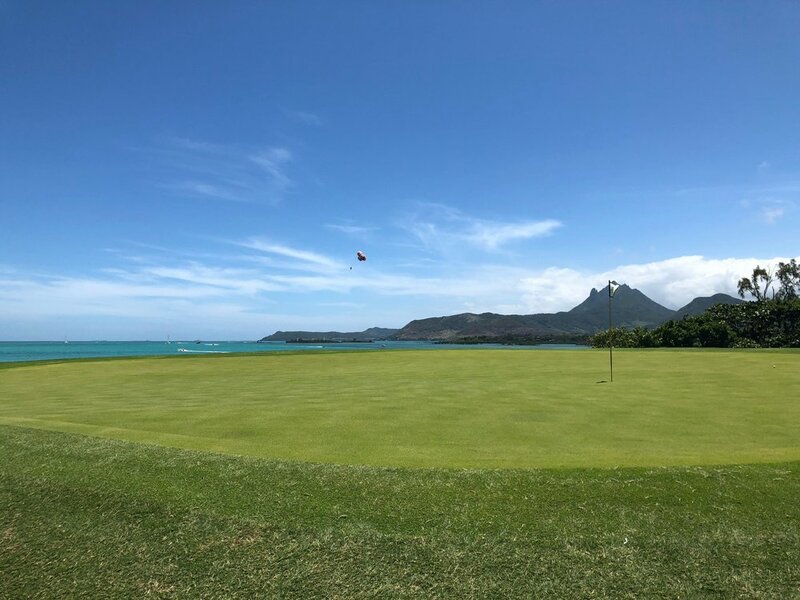 Even if you couldn’t quite place Mauritius on a map you will probably recognise the pictures of the Ile aux Cerfs golf course. It’s on an island, you see. It’s pretty much the only thing on the island, and the water is a beautiful aquamarine blue - in the pictures it looks truly idyllic. Most of the pictures you will see of the island in the publicity shots are taken from the air. That's where you really see that you're on an island. From the golf course, you don’t really. You can only really see the Indian Ocean on a couple of holes and it doesn’t ever come into play. However, there are some very memorable features in this Bernhard Langer-designed course. Firstly, it is tight. 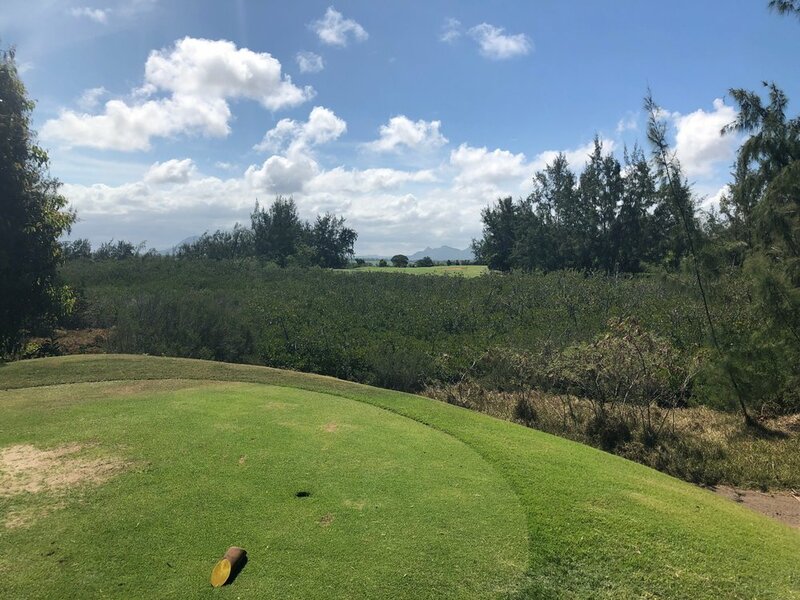 On the front 9 especially, if you stray from the fairways you are pretty much dead in the mangrove swamp or thick jungle. Many holes have carries of at least 200 yards and the course is visually intimidating from most tees. And boy-oh-boy does Langer love a dog-leg. It is a rare hole without a twist and a turn. Secondly, you will remember the tiny greens. Bernhard Langer clearly tries to eliminate his chances of three putting by making the greens as small as he could get away with. Only on the bizarrely laid out par 5 9th is the green anything like a regular size. The rest are very small, often surrounded by steep slopes running into swamps, lava or, at best, sand. These factors make for a really tough course which is reflected in the scorecard. From the 6,500-yard white tees, the slope rating is 145 and, from the 7,000-yard black tees, this increase to a staggering 155. If there has ever been a course to tee it forward I would suggest this is it. Thirdly, the attitude and service at the place is really poor. On my first visit, at least a dozen years ago, my wife thought it would be nice to come out to watch me tear up the course. She was more than welcome to share my buggy, but only if she forked out the $50 for the honour. I kid you not! The questionable service was reinforced on a recent visit. 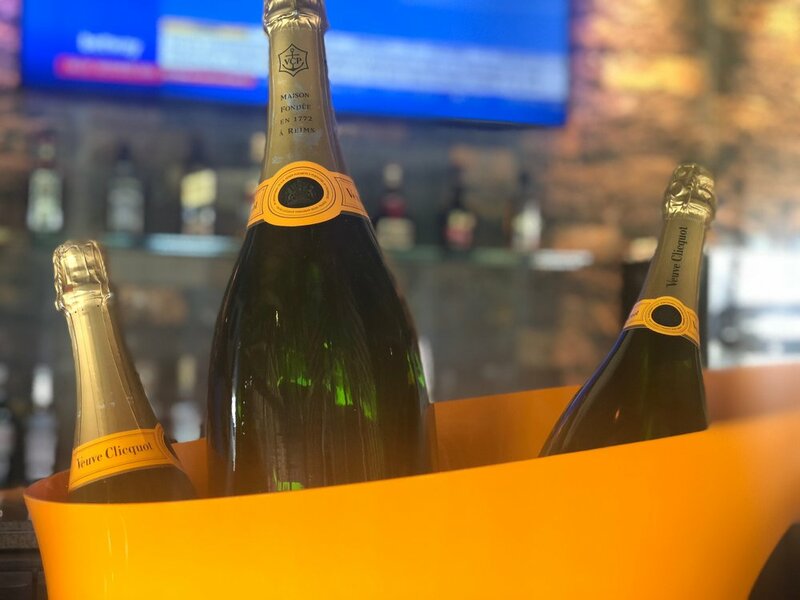 My playing partner and I had reserved rental clubs when we booked. On arrival we were told there weren’t any available and we would have to wait until some came back from the course, some 90 minutes after our tee time. After much huffing and puffing they found us some old clubs, not designed for renting out (they were in a pretty abysmal state). There was no hint of an apology, and the attempt to get a refund for the club rental charge is worthy of a blog in its own right one day! The transport to the island - on a boat - is pretty cool and the 2 holes where you can see the ocean make for a nice photo opp. 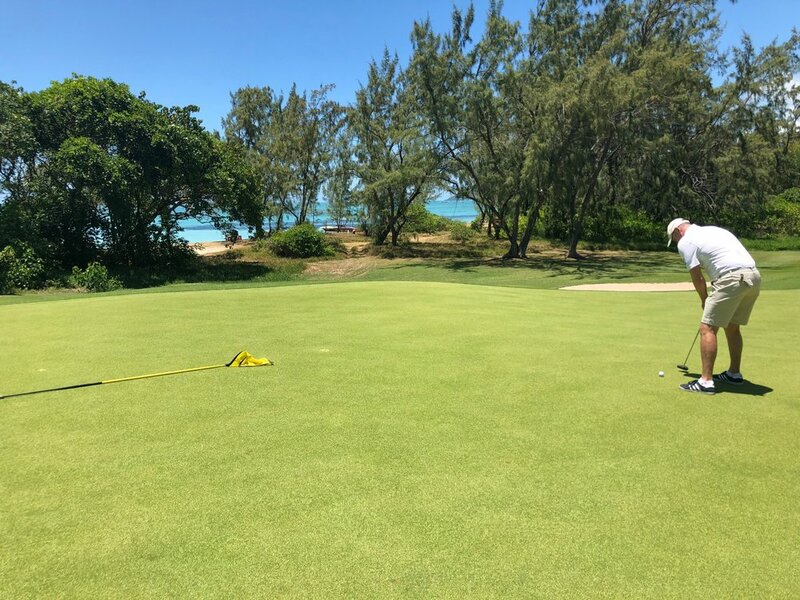 But there must be better courses on Mauritius. I’m kicking myself for not trying out Anahita which is supposed to be great. 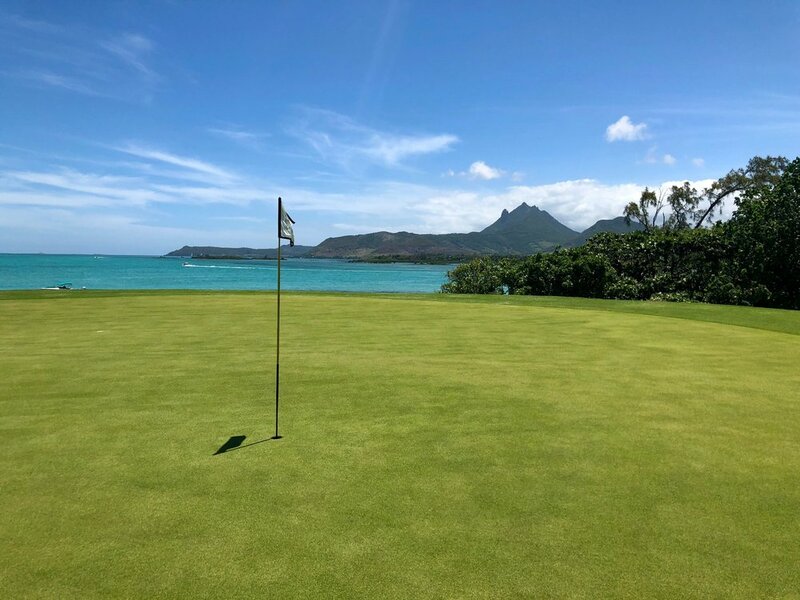 I won’t be beguiled again by the pictures of Ile aux Cerfs in the golf magazines. Oh no.. There is a form to fill out on the website here and the green fee is around £150. This includes you car rental, some water and some balls on the range. Rental clubs, if required, are another £40. If you do need to rent, my advice would be to call or email to confirm every day in the run-up to teeing off! There are twilight deals available for around £100. The website is pretty helpful with info - including dates of hollow timing for the greens. Not much I can add to this one I'm afraid given we weren't able to play any other courses due to inclement weather. 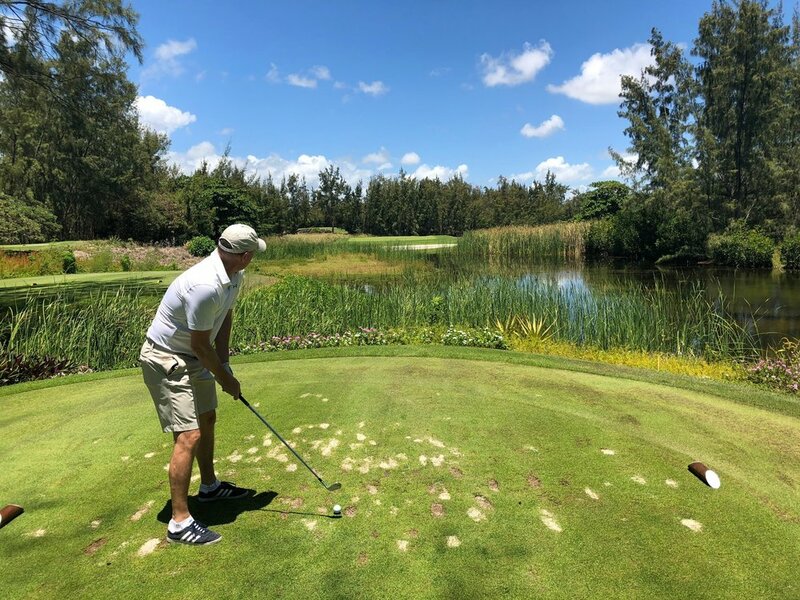 I have heard great things about the Golf Ile Maurice at Anahita - an Ernie Els course - and there are plenty of lesser challenges attached to hotels. Check out where2golf.com's page here for some other ideas where to play. If you are travelling from your hotel then you are likely to be charged a hefty taxi fee - it's worth checking online for taxi drivers on the island who will be able to get you around the island for much less.